Mumbai, 1st September 2017:. The DMA India awards honour the creative par excellence in marketing and advertising campaigns that have raised the bar of originality, response strategy, interactivity and marketing impact. 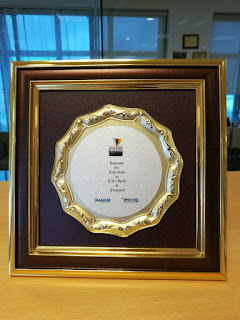 iProspect India was awarded a Gold metal for their campaign for ICICI Bank which used its proprietary tool iCalculate. The objective of the campaign was to increase sales for ICICI Bank’s personal and home loans. The challenge was when most customers used the loan calculator on the website to get details on eligibility, interest rates, loan amount, etc. did not click on the ‘Apply Now’ button. It was counted as a conversion only if a user applied for a loan by clicking on the ‘Apply Now’ button on the website. Thus, there was a gap to be bridged – how does one tap the missed opportunity created by a large number of drop offs and track users who interacted with the calculator fields but did not click on the Apply Now button? The idea was to use iCalculate which passes real-time data to the Google Analytics Cloud on a Windows unload event as a solution to this problem. In this case, the tool matched information requested with the user ID and eligibility criteria for the loan amount. Data like loan amount, monthly EMI, product, etc. were captured and an API script was fired every time the user did not click on the Apply Now button. This data was then sent to the call center team, which provided immediate assistance and customized plans. From a result standpoint, this led to a 200% increase in contactable leads and 30% increase in call center efficiency along with increased customer satisfaction owing to an integrated backend and seamless data management. Founded in 1997, iProspect India is a part of the Dentsu Aegis Network. It is also falls under the DAN Performance Group. A global, leading, multi award-winning digital agency, it offers brands an entire spectrum of result-oriented digital marketing strategies. This includes paid and natural search, performance display, content generation, structured data & feeds, conversion optimization, data & insights, social media management, lead generation & affiliates, video and mobile services. The company enjoys a 160 plus client roster, including marque brands like Myntra, Shopclues, Koovs, Raymond, Aegon Religare, American Express, Axis Bank, Bharti Axa, HDFC, ICICI, Kotak, Maxlife, Reliance General Insurance, Royal Sundaram, Yes Bank, Cleartrip, Club Mahindra, Thomas Cook, Apollo Hospitals, Remit2India, Bloomberg Quint, Wildcraft. It is home to over 250 people across four offices in Mumbai, Bengaluru, New Delhi and Chennai. Dentsu Aegis Network’s presence in India comprises the global network brands Carat, iProspect, Isobar, Posterscope, Vizeum, MKTG, Amnet and mcgarrybowen along with the Dentsu branded agencies – Dentsu Impact, Dentsu One, Dentsu India, Dentsu Media, Taproot Dentsu and Dentsu Webchutney. Also, newly added to the group are the recently acquired local brands Milestone Brandcom, WATConsult, Fountainhead MKTG, the Perfect Relations Group, Happy mcgarrybowen, Fractal Design Studio, SVG Media and Merkle Sokrati.